"Leesha," a 7-year-old terrier and pit bull mix, awaits adoption at the Animal Care and Control Team facility. 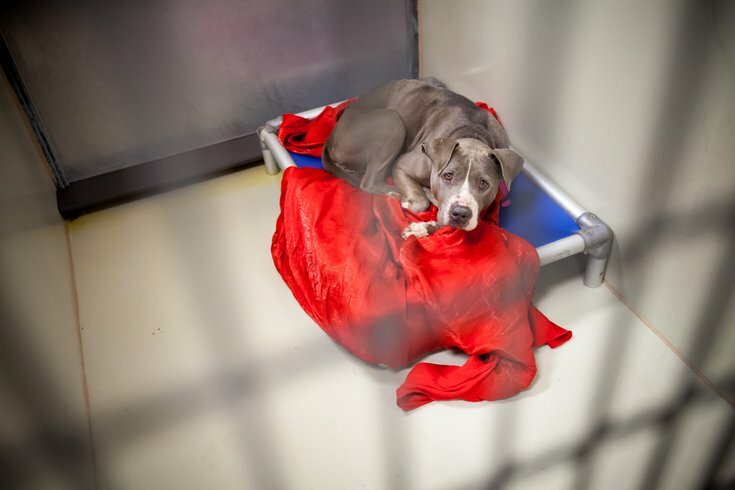 ACCT Philly, the city's primary homeless animal care and control center, has turned to social media to make a plea for donations of bedding-type materials for its animals. According to the post, the shelter is low on blankets, towels, sheets and other loose materials that help to make its cages a bit comfier for its homeless pets. All donations can be dropped off at the shelter at the times listed below. The shelter is located at 111 W. Hunting Park Ave., Philadelphia.